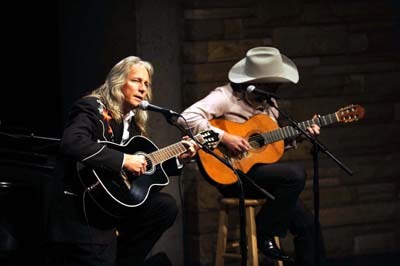 Con was honored to be asked to perform at the recent Poets and Prophets Series to pay tribute to his good friend, musician and songwriter Dean Dillon. 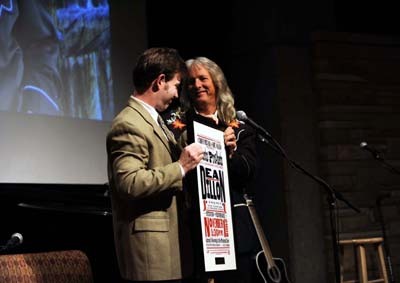 Dean, pictured here on the right, receives a copy of the poster touting the special event from the evening's host Michael Gray, left. Dean is pictured here with his good friend and fellow musician and singer/songwriter Scotty Emerick. 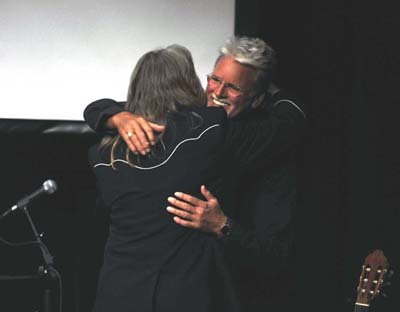 Con and Dean have been great buddies since the 70's and the two were happy to have the opportunity to perform a couple of songs together for the crowd. ...and Con is very proud to have the opportunity for himself and so many others in the industry to give Dean the recognition he so richly deserves. 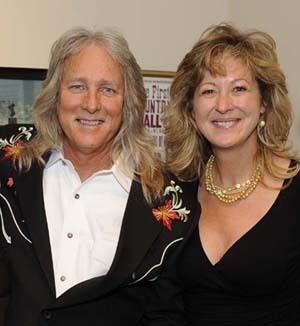 A lot of industry people were on hand to pay tribute to their songwriting friend, including Lee Ann Womack, who has recorded several of Dean's songs. She and Con had a few moments to catch up. 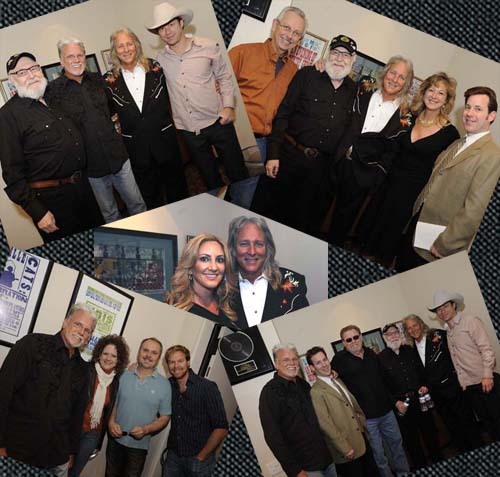 Bottom Right, left to right Con, Michael Gray, Legendary songwriter and musician Whitey Shafer, Hank Cochran, Dean and Scotty Emerick.